Hello all! I forgot to do my duty this week so apologies for the lateness. 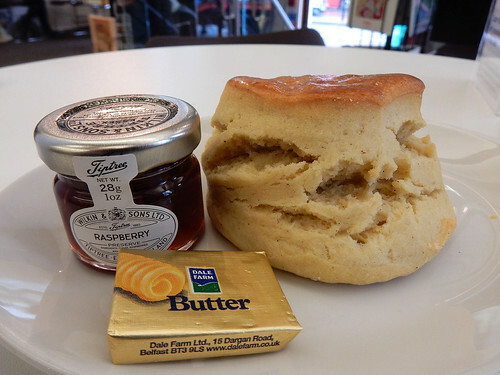 This week's featured article is Quaker Cafe, NW1 2BJ, which is a cafe open to the public in the Quaker Friends' House opposite Euston Station. It has hot food, bright white walls (to compensate for lack of natural light) and is child-friendly. There's a new sandwich shop addition to our articles with No. 5's in sunny Forest Hill. We also offer significant updates to the articles for The Misty Moon in Northwood which entirely coincidentally I walked past recently. It still looks like an (ex-)Wetherspoons and it still has handpulls. 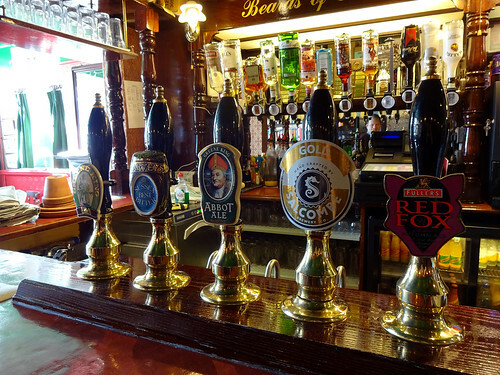 For the 'real deal' go instead to The William Jolle in nearby Northwood Hills. It's what you expect from a JDW. Finally we report the impending (permanent) closure of Brew Wharf by Borough Market. It was an early adopter of trendy brewing scene but never really gained the cachet of other SE1 operations. 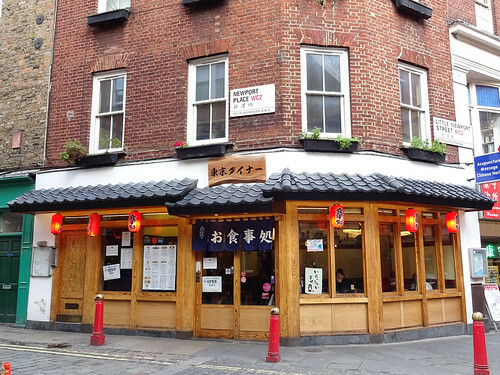 Another reported closure (only possible at this stage; it might be a refurb) is Vegetarian's Paradise on Marchmont St. 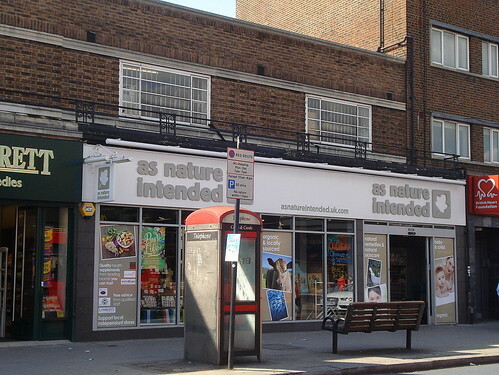 This week's featured article is not a naturist resort, but in fact an organic supermarket called As Nature Intended, SW12 9BP. 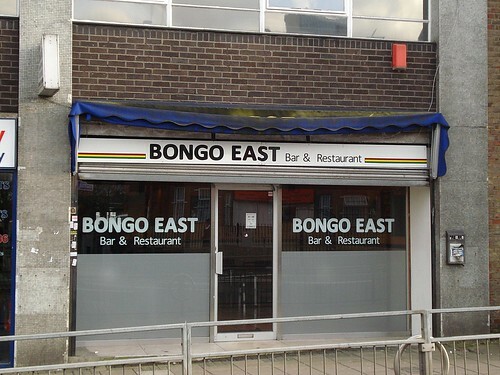 Bit of a small chain, but this branch is in Balham. You can get refills of all your household essentials too. Our new article this week is The French Cafe in South London's Tooting. It's a cafe, and it's French, so expect pate and cheese. Finally we have one possible closures, Da Vinci, a late-night bar and restaurant near Waterloo which had a fire recently, and the impending closure early next year of Book Warehouse, also nearby.